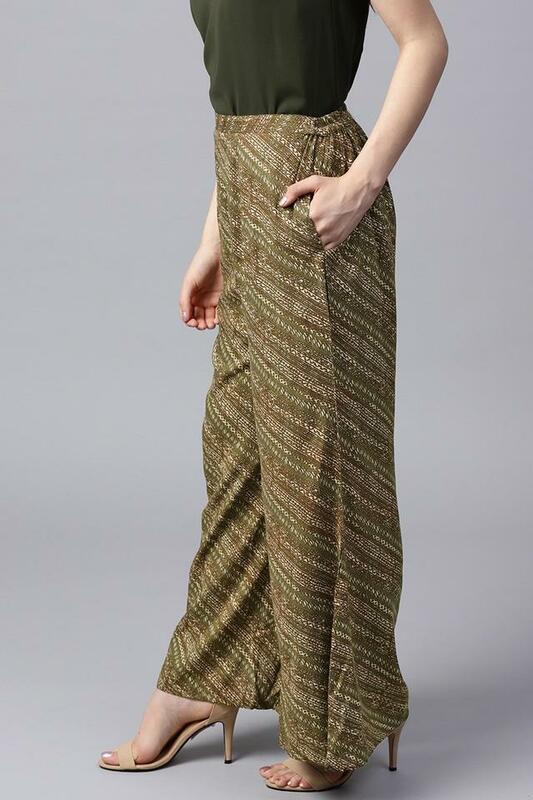 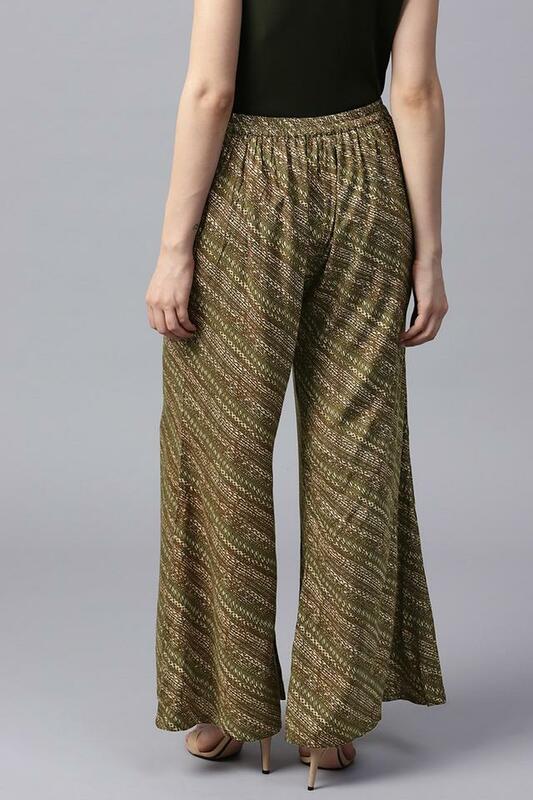 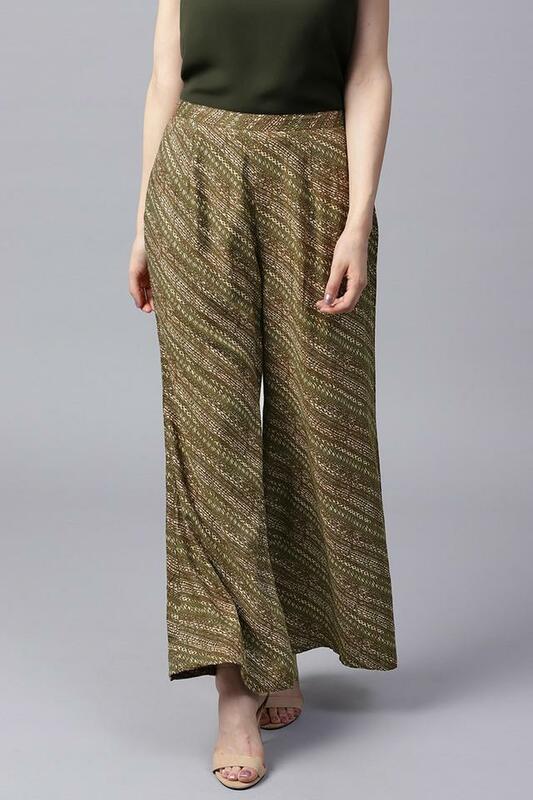 If you are in search of new palazzo pants, then check out this pair from the house of Gerua. It has a printed pattern that makes it simple yet stylish, while the elastic waistband ensures a proper fit. 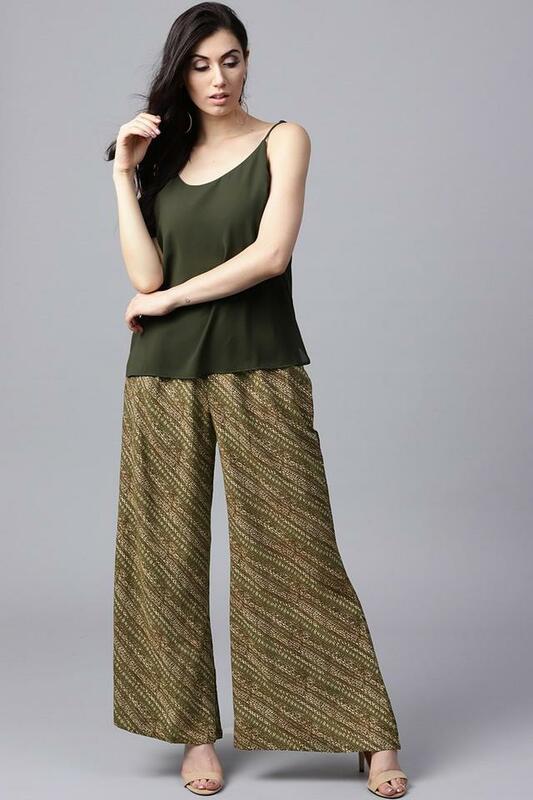 Besides, it is tailored with care using a supreme quality rayon, which will provide a soft touch against your skin. Designed with care, this pair of palazzo pants will be a perfect choice for you to wear on a casual occasion. You can team it with a kurta and a dupatta to complete your look.